Winning a championship isn’t easy. The MINI JCW Team won the Manufacturers title in the closing minutes of the final race of the season at Road Atlanta. Putting a fairy tail ending on a successful run in the Continental Tire SportsCar Challenge Series. But before the drivers can race their hearts out, there’s a lot of work that goes into putting together a successful race car. MINI and the JCW Team have partnered over the years to field a technician program that rewards some of the dealerships best. Sending them to the track to help field the trio of MINI JCW hardtops. That’s right, the same technicians that do everything from oil changes to engine replacements on your personal MINI, head out with the team in hopes of sending a car to victory lane. The MINI Technician Program offers dealers a chance to reward top performers with a once-in-a-lifetime experience with the MINI John Cooper Racing Team. The experience they gain working on everyday MINIs translates well to the track, since it’s basically the same car you can buy at the dealership, with a few added safety and performance features. All that experience makes them experts at what they do, and the fastest at doing it. This has translated to victories at everywhere from Daytona to Watkins Glen. 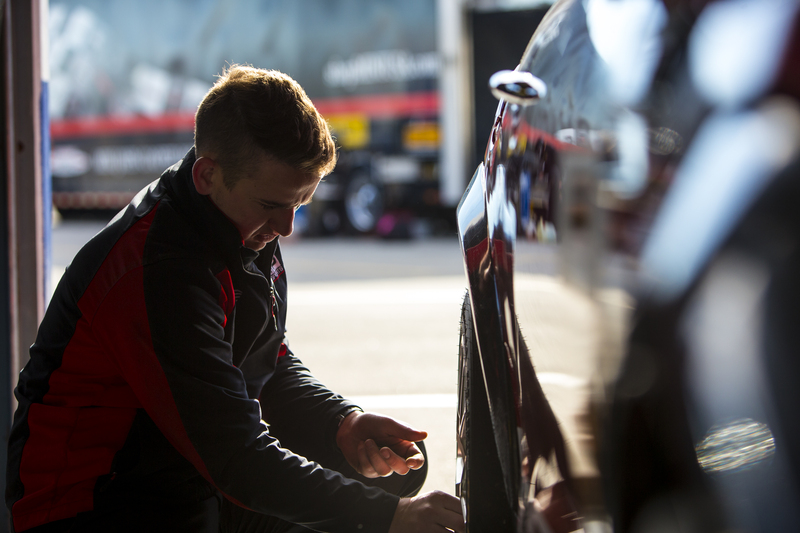 You can find out more about how the technicians are selected and some of the other perks they get to experience, like performing pit-stops, over at Automotive News. ← MINI JCW Team will no Longer Compete in IMSA, LAP to Field Hondas Next Season.